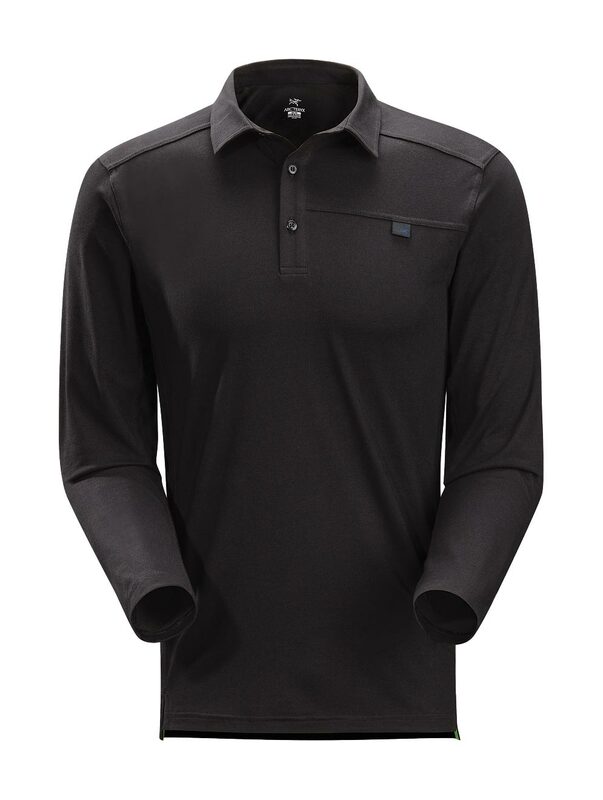 Arcteryx Black Captive Polo LS | Arc'teryx Men Online Sale! 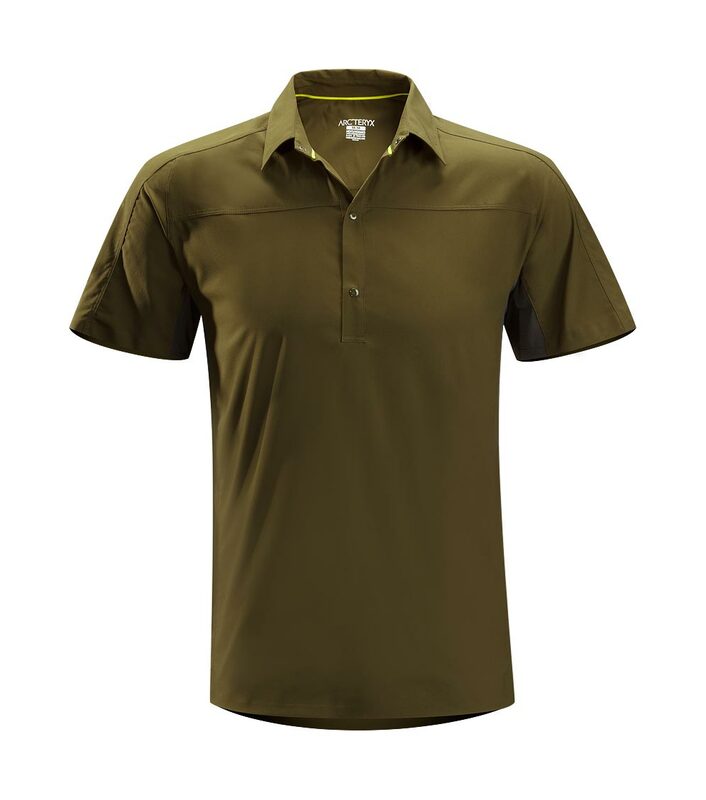 Rock Climbing / Hiking / Casual/Urban This trim-fitting long-sleeved polo shirt is made of a moisture wicking, lightweight cotton/poly/lycra blend that is ideal for both urban and more rugged pursuits. 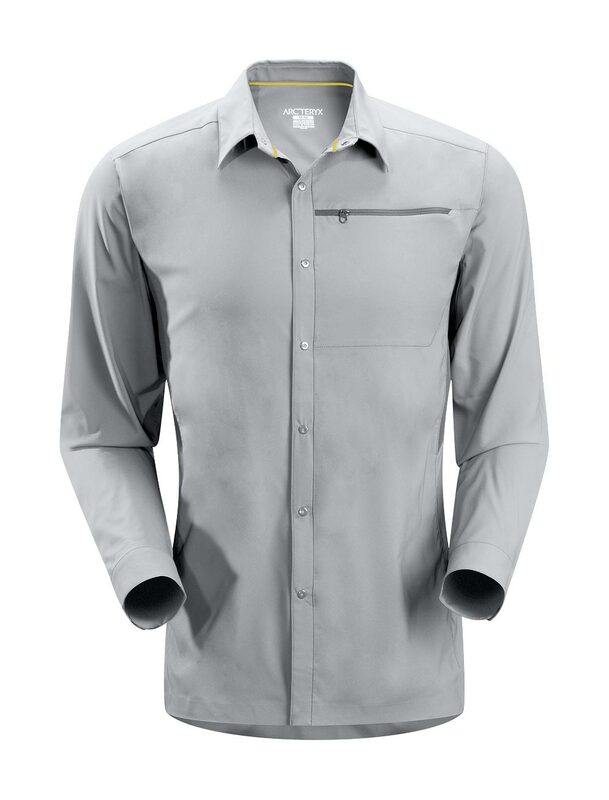 Gusseted underarms allow greater freedom and reinforced side vents at the hemline add a touch of style. 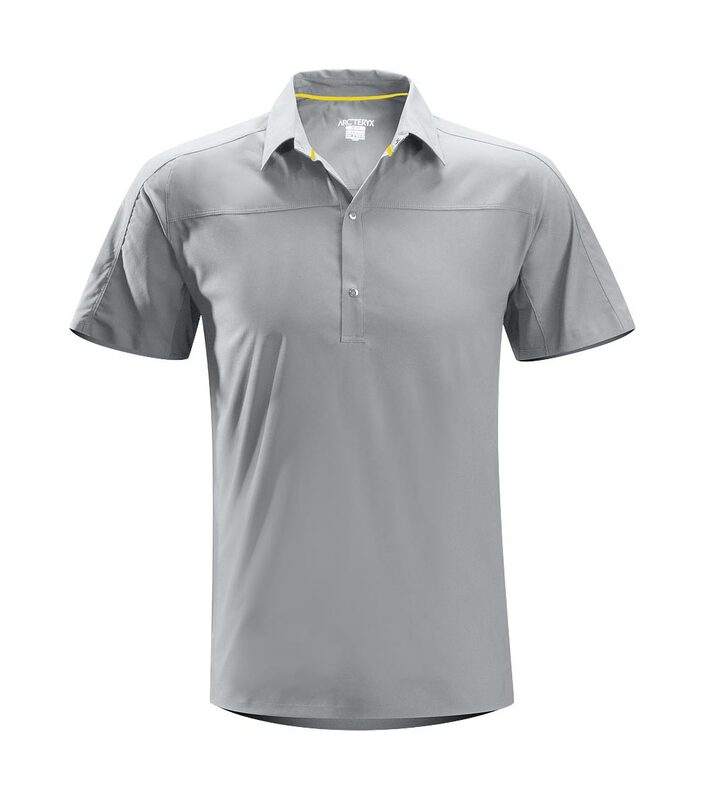 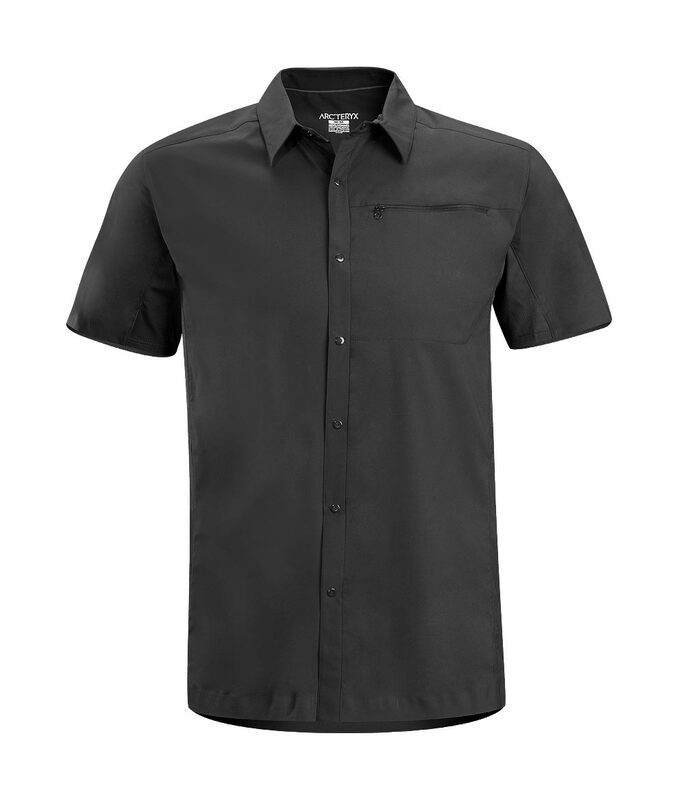 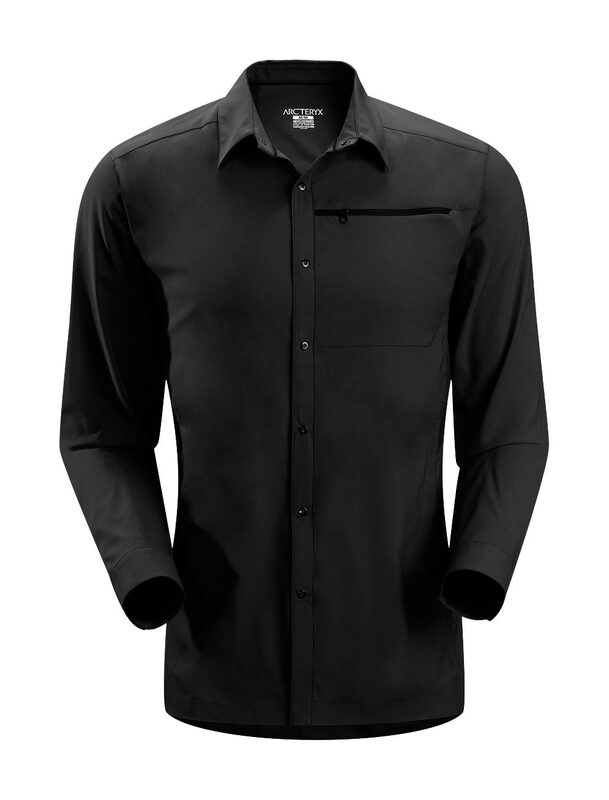 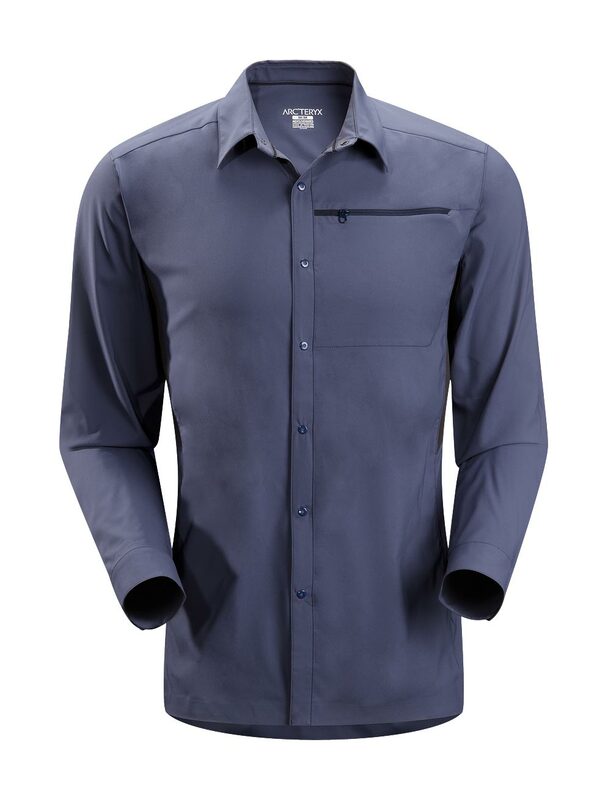 Lightweight synthetic fabric provides excellent moisture-wicking capability. Heat transfer logo DryTech ��Cotton/Polyester/Lycra blend Machine wash in cold water or dry clean.